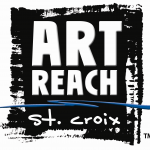 ArtReach St. Croix connects communities & the arts in the scenic St. Croix River Valley. This year, the Mobile Art Gallery will once again pop-up in locations around the Valley. ArtReach is looking for an Activator to manage the unusual venue and to build public engagement with the Mobile Art Gallery and its art programming. This could be a great fit for an educator, artist, musician, or other community activist. Imagine what you would you do if you had a Mobile Art Gallery? Let us know how your idea complements the Mobile Art Gallery’s regional awareness building events and activities. Representing ArtReach and the arts in the St. Croix Valley as an ambassador and facilitator. Engaging the public through Mobile Art Gallery activities including micro-exhibitions, (before/after) Pop-up Performances and in conjunction with other public programs in this mobile, outdoor art space. Training volunteers to run the Mobile Art Gallery and assist with determining volunteer scheduling needs. Acting as a liaison with the Program Manager, volunteers and event hosts. Moving the Mobile Art Gallery around the St. Croix Valley (with help) and setting-up, tearing-down and securing the mobile venue. Regularly communicating via text, emails and social media. The Activator will assist with the promotion and maintenance of the Mobile Art Gallery by communicating to artists, arts organizations, and other event producers about the unusual venue and its use. Do what it takes to help make this program have a dramatic and inspiring full season of events! Running the Mobile Art Gallery take a high-level of comfort with public engagement, a go-getter attitude and a lot of enthusiasm for the arts in the St. Croix Valley. Part-time, seasonal (mid-April to mid-October 2017) approximately 40 hours per month at $16/hour. Most events take place on evenings and weekends. To apply send a cover letter and resume to Heather Rutledge heather@artreachstcroix.org by March 13. No phone calls please. ArtReach connects students with artists and organizations that have internship positions available. For more information on finding an internship or listing one, email info@artreachstcroix.org.